Reine, September 11, 2006 in Web industry. Five years ago, the world changed forever and the web changed with it. 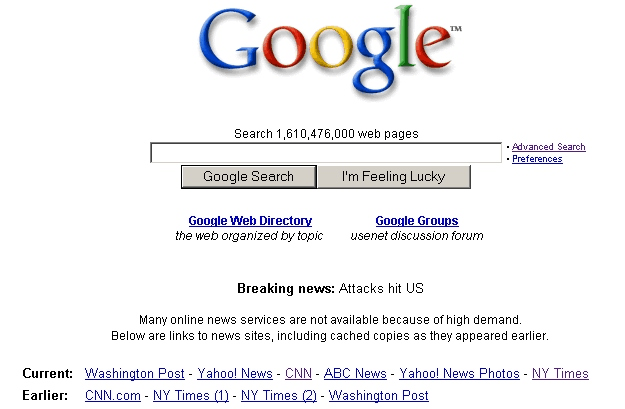 Remember what Google looked like on that day? It is a reminder of the crippled state of the web on that fatal day, when the large news sites were down due to unprecedented traffic. The sites adopted after a while and offered a slimmer interface with less images to download, but people had already started searching for answers in other places.